On October 8 and 9, major central banks in Europe, the Americas, and Asia took the exceptional step of reducing interest rates in concert to stave off a global economic slowdown during the ongoing financial crisis. The financial crisis is rooted in the faltering U.S. housing market. Many banks and financial institutions hold assets (such as mortgage-backed securities) that are tied to home loans. As house prices fall and more Americans have trouble paying their mortgages, these assets lose value, and financial institutions find their holdings are worth far less than expected. Such losses hamper the ability of financial institutions to borrow and lend. At the moment, financial institutions are very reluctant to lend to one another for fear of further exposing themselves to mortgage-related losses. To combat this crisis of confidence, the Fed is dramatically expanding its role as the lender of last resort in the U.S. financial system. In addition to the coordinated rate cut, the Fed's new policy measures include direct loans to insurers and businesses, as well as an unusual level of cooperation with the U.S. Treasury Department. National Public Radio's Laura Conway catalogues the Fed's expanding monetary policy toolkit here. 1. 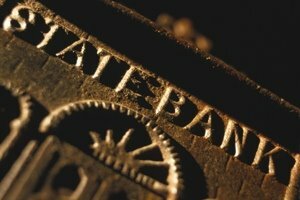 Historically, the Fed's status as lender of last resort extended only to commercial banks. How has the scope of the Fed's lending changed as a result of the crisis? 2. Why don't central banks coordinate monetary policy more often? 3. If effective, how will the Treasury's $700 billion rescue package help the Fed's efforts to restore confidence among banks and financial institutions? 4. What constraints do central banks face in responding to the financial crisis?